New API allows developers to create digital technology to build mobile and web apps that serve veterans. LAS VEGAS – The Department of Veterans Affairs has joined the bandwagon of government agencies looking for outside innovators to help update its health technology systems. In February, it became easier for private citizens to become involved when the department launched Lighthouse, an API that allows developers to create digital technology to build mobile and web apps that serve veterans. 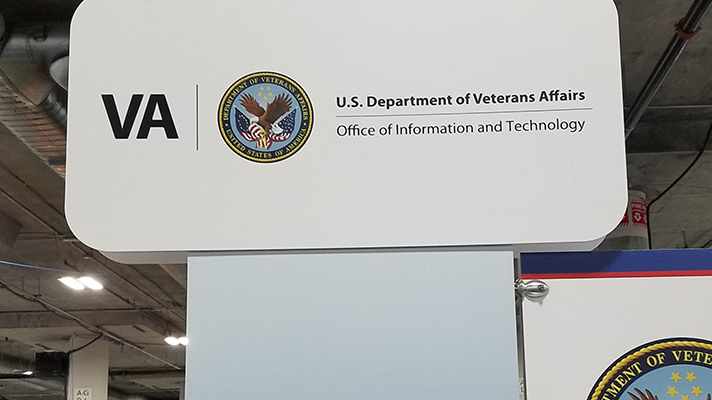 With the latest technology on display at HIMSS18, the new API outlines four components for developers: standards-based, data-driven, future-proof and veteran-centric technology. The merging of private and public has also been a driving force behind the Digital Services at Veterans Affairs initiative, which lets people from outside industries do a short stint working for the government. Some of the VA system's online forms were antiquated and difficult to use, according to Loehr. That meant few were using the online system to sign up for benefits like VA healthcare, and even fewer were using the online system to schedule a visit to the doctor's office. In some instances, veterans would need to know what particular law gave them access to certain services creating confusion. “Users shouldn’t have to know the VA language in order to interact with the VA,” Loehr said. None of the new technology is earth-shattering, said Loehr. The harder part is looking at what unique problems the VA already has and giving innovators the freedom to solve them in different ways. Providing healthcare to veterans has been a hot topic of discussion for the Trump administration. Jared Kushner, director of the Office of American Innovation, made a point of discussing the difficulties in veterans health services during his own time on the HIMSS18 stage. “Our military is the most advanced on Earth, yet we cannot get the medical records from DoD to VA,” Kushner said. The Digital Services at Veterans Affairs is actively recruiting developers to join its ranks.